According to a recent article on MSN/Money, an increasing number of municipalities are turning over unpaid library fines, parking tickets, traffic fines, etc. to collection agencies. 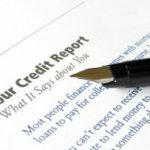 Thus, these sorts of things are now starting to turn up on people’s credit reports, wreaking havoc with their FICO scores. The unfortunate thing is that such indiscretions may have more to do with absent-mindedness than with a lack of creditworthiness, but they count just the same. So be careful not to let such things slide by, or you might inadvertently wreck your credit. Do You Care About Your Credit Score? 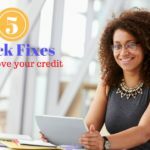 What’s the Lowest Possible Credit Score? A debt is a debt … a quarter to your co-worker when you’re short at lunch is a debt, and it should be repaid just like your parking tickets or your mortgage. Intentional or not, forgetting to repay something that is owed indicates a higher risk of default, which is what the credit score measures. Good point. However, is honestly forgetting to pay a bill on time a reliable predictor of whether or not you will *default* on your debt obligations? That, after all, is what creditors are really afraid of. As you point out, they might actually enjoy being able to tag you for a bunch of extra late fees, etc.